Physical gold is among highly coveted means of investing and safeguarding wealth against inflation that has been around for thousands of years. Nowadays investors seeking to buy physical metal have a wide array of choices that come in forms of coins, bars, ingots and even gold dust. For most investors buying physical gold is preferable, for a number of reasons. When you buy gold bullion bars and coins, you take possession of the metals you purchase. Gold is used throughout the world as currency, so even scrap dental gold can be used exchanged for money in almost any country. This is true no matter what the economy is doing at the time, making physical gold investing a superior option. Many investors stick to physical precious metals purchases because they feel like they will be provided for in the events of catastrophic proportions when all currencies fail. 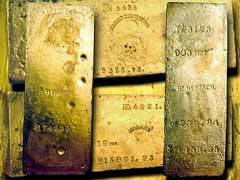 With prices of precious metals increasing substantially over a few recent years, there are many of gold scrap recovery places and even gold dust buyers that are buying scrap gold and turning it into highly valuable bars and ingots proving once again the popularity of physical precious metals. As we know with benefits come drawbacks. A disadvantage for buying physical gold is storage, which might become a long term expense, especially if you decide to store your investment in a bank safe deposit box or a vault. When you buy or sell your bars or coins you will incur dealer mark ups that can be pretty substantial depending what types of bullion you are dealing with. In addition to above mentioned drawbacks, investors selling physical precious metals have to pay capital gains tax at 28% which can take a huge bite out of your gains. Buying physical gold is one way to invest in this precious metal, but there are others as well, including a gold ETF investment. Gold Exchange Traded Fund is a fund with the purpose to track the market price of gold, however, investors purchasing shares of a precious metals ETF do not take physical possession of the metal. Instead these funds hold investment quality bullion, stocks, and other investment options. The funds’ assets are backed up by physical gold, and they are managed by market professionals making decisions for you. Most funds carry a fee associated with owning ETF shares, which are definitely lower compared to owning physical bullion. There are many different types of precious metals ETF’s and knowledgeable investors can build up an excellent inflation proof portfolio. Despite numerous ETF’s advantages, there are also drawbacks to consider. Similarly to physical bullion, such ETF’s are taxed at 28% collectibles tax bracket and treated pretty much like physical metal. Newbie investors without proper knowledge of the market can lose substantial funds in case market conditions improve and prices for gold plummet. Since there are no actual physical assets to back up the investment, you are left with virtually nothing.